Constant sneezing. Wheezing. Watery and itchy eyes. Stuffed up nose. Head congestion. If you’ve experienced these common and uncomfortable symptoms, chances are, you may have wrestled with allergies. For starters, know that you’re not alone. Over 50 million Americans reportedly suffer from allergies in some form or another. Not to mention, allergies have been rated as the 6th leading cause of chronic illness in the United States. That means a lot of missed work, missed quality time with family, and an overall decrease in quality of life. However, there is hope. Many allergies have common, relatively simple antidotes to help alleviate troublesome symptom patterns. Let’s take a look at the whole picture for starters. Everyone reacts differently to various allergens. Some people struggle with seasonal grass, tree and pollen allergies that tend to reach their peak in the springtime, making outside ventures during these months unpleasant. Others react more allergically to consistently present allergens like dust, mold and animal dander. Not to mention, areas with more polluted air and elevated normal temperatures can cause inflammation as well. Though the root allergen may vary from person to person, the general allergic response follows a similar pattern. When a person comes in contact with an allergen they are particularly reactive to, the body jumps into action to begin producing histamines. What exactly are histamines? They are an inflammatory response within the immune system that is meant to help our bodies fight off unwanted intruders. In this response, the histamines play a role in dropping our blood pressure and dilating our blood vessels so that helpful immune system fluid can move on in to help fight infection, nourish damaged tissue, and get us on the fast-track to recovery. This sounds great, right? This histamine response plays an absolutely vital role in our immune system. We need it. However, the problem that we encounter with histamines in an allergic response is actually an overreaction (or hypersensitivity) of the immune system. This overreaction causes our bodies to release too many histamines and can wreak havoc on our comfort and well-being. With so many allergens present in our everyday lives, it’s easy to get overwhelmed and discouraged when seeking relief. If you’re looking to conquer your personal struggle with allergies, it’s helpful to understand what you’re most allergic to first. Get in touch with your doctor and ask about taking an allergy test. These are usually fairly simple tests that can help give you more information about your body’s reactors. Knowledge truly is power. When you know what sets you off, you can start to better prepare your immediate environment to be a more friendly place for your body. It’s a great starting point. For example, many people who have suffered specifically from dust mite allergies have found relief by simply using special covers for their mattress and bedding. Others have turned to consuming local honey and bee pollen to help their bodies acclimate to local pollens. For seasonal allergies, it may be wise to keep your eyes on the local pollen count, easily updated on this site by inputting your zip code. On higher pollen days when your sensitivity may be challenged, try keeping windows and doors shut to protect your immediate environment. Limit your exertion outside, and be sure to shower and wash your affected clothes after spending prolonged periods of time outdoors. This will help keep allergens outside of your home. Many people have also experienced relief by simply doing nasal rinses to help clear out pollens and allergens that may have become embedded in your sinus cavity. Rinses are a cost-effective and natural way to cleanse irritated, allergy-provoked sinus tissue. Another natural method to help treat allergies that is sometimes overlooked is chiropractic care. The immune system hypersensitivity that causes much of the discomfort from an allergic reaction can easily become a chronic issue. Chiropractic can actually help this. Many people don’t realize that when your spine is misaligned, it may have trouble connecting the brain with the rest of the body correctly. These common misalignments can cause irritation to the immune system and potentially amplify some allergic responses. With some simple manipulations and bodywork, chiropractic care can help realign your system to help its receptors work the way they should, therefore strengthening the immune system. Chiropractic adjustments can also help to open respiratory airways, a commonly irritated area when allergies strike. If you do choose to incorporate chiropractic into your allergy treatment, the first appointment will focus on taking a full history of your symptoms and experiences with allergies. From there, we will work on outlining a treatment plan that you are comfortable with moving forward. 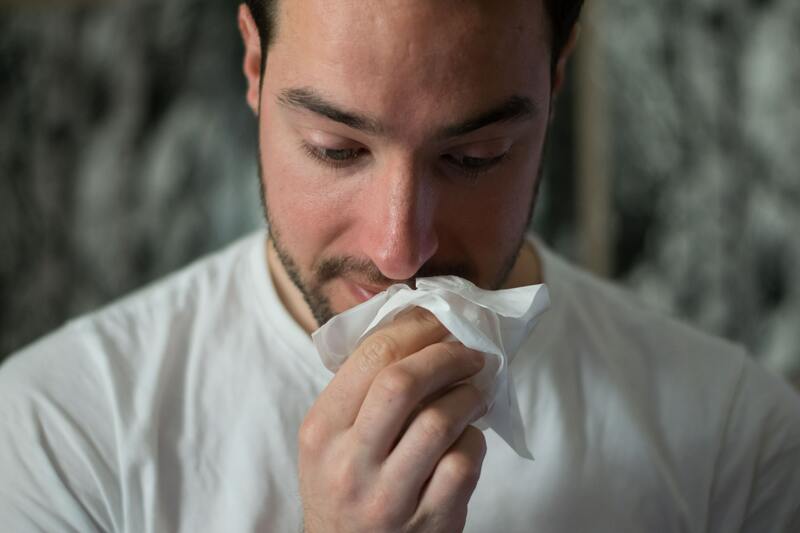 If you have struggled with ongoing allergies and have yet to find relief, it may be valuable to consider working chiropractic care into your routine. If you’d like to schedule an initial evaluation to get you started, we would be happy to get you on our patient calendar. Schedule an appointment online or call (949) 397-6699. Of course, if you’re experiencing trouble breathing or other serious symptoms, contact 911 immediately and seek medical help.